Villa 125 is a fully furnished 3-bedroom/3 bath Villa at The Rocks. 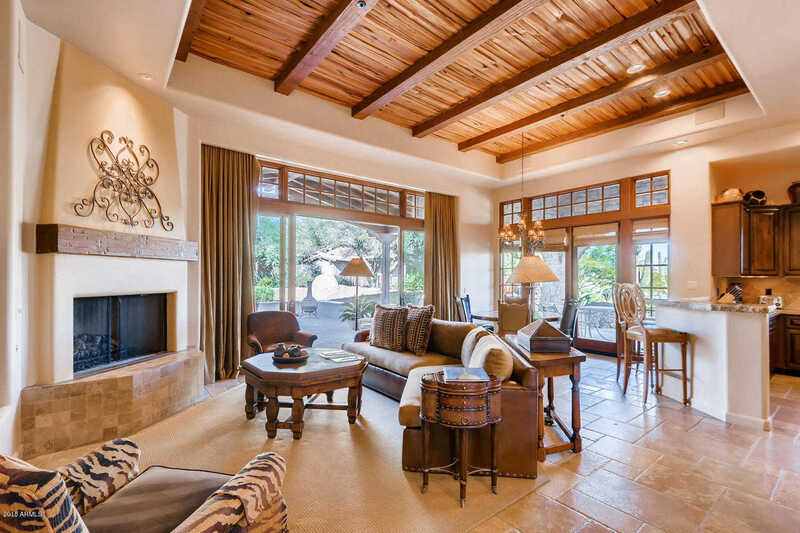 There are 40 Villas at The Rocks on approximately 22 acres of breathtaking high Sonoran Desert located next to the Four Seasons Resort in N. Scottsdale. This Villa is 1 of the 30 of Villas are that are fully owned. The Rocks is a resort property that delivers high-end resort amenities – designed for the owner that wants everything taken care of for them. Tucked in the center of the development this beautifully furnished Hacienda Villa has dramatic views of large boulder outcroppings that you can enjoy from the patio with private plunge pool. Great Room floor plan opens to gourmet Kitchen with Wolf/Sub-Zero Appliances. Directions: N on Pima to Happy Valley Rd. E on Happy Valley to 4-way Stop. Left (N) on Alma School Pkwy, past Four Seasons Resort on left. Turn left to Gate. Approximate size: 2714.00 sq. ft. Please, send me more information on this property: MLS# 5844340 – $660,000 – 27440 N Alma School Parkway Unit 125, Scottsdale, AZ 85262. I would like to schedule a showing appointment for this property: MLS# 5844340 – $660,000 – 27440 N Alma School Parkway Unit 125, Scottsdale, AZ 85262.